Spell Cards (Japanese: 魔（ま）法（ほう）カード Mahō Kādo, or 魔法（マジック）カード Majikku Kādo "Magic Card" in early releases of the OCG Series 3 and in the anime; Japanese symbol text: 魔（ま） Ma or 魔（マジック） Majikku), called Magic Card in the TCG until the release of Magician's Force, are cards with green-colored borders that have various effects to alter the play of the game. Often, a Spell Card has a single effect to provide a bonus to the user or a weakness to the opponent. Unlike Trap Cards, Spell Cards have the advantage of being able to be played without having to be Set first. Spell Cards, except Quick-Play Spell Cards, may be activated during the same turn it was Set. A player may activate and Set as many Spell Cards as they wish during their turn. 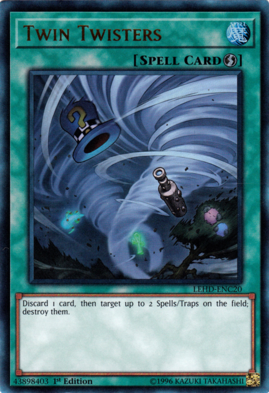 All Spell Cards are Spell Speed 1 (meaning they can only be activated as Chain Link 1), with the exception of Quick-Play Spell Cards which are Spell Speed 2 (meaning they can be activated in response to Spell Speed 1 and 2 Chain Links). Spell Cards, except Quick-Play Spell Cards, can only be activated during their possessor's Main Phase (except "Curse of Fiend"); Quick-Play Spell Cards can be activated from their possessor's hand during their turn, or while Set on the field during either player's turn. After activation, Spell Cards (with the exception of Continuous, Field and Equip Spell Cards) are sent to the Graveyard. Some very powerful Spell Cards have been Forbidden from Advanced Format tournament play, such as "Pot of Greed". 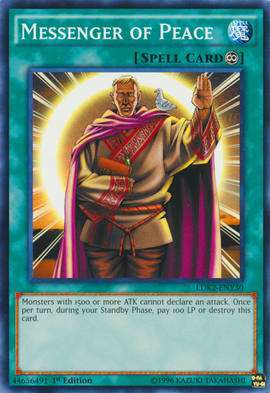 In many cases, Konami has released similar cards with less powerful or more restrictive effects to serve as replacements for some of these Forbidden cards. For instance, "Pot of Greed" has been replaced by the weaker "Pot of Desires", which provides the same bonus as "Pot of Greed" but comes with a considerable activation cost (whereas "Pot of Greed" has no activation cost at all). Used properly, a single Spell Card can significantly alter the game in the user's favor, or even cause them to win the Duel. Normal Spells, which have no symbol on printed cards, but are sometimes given a capital "N" symbol in video games. Continuous Spells, which have an infinity symbol. Equip Spells, which have a crosshair symbol. Quick-Play Spells, which have a lightning bolt symbol. Field Spells, which have a compass rose symbol. Ritual Spells, which have a flaming chalice symbol. The layout of Spell Cards is noticeably different from Monster Cards, but quite similar to that of Trap Cards (except the border color). The most noticeable difference between Spell Cards and Monster Cards is the border color. 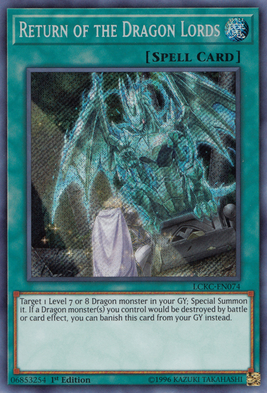 While most Monster Cards are yellow or orange, Spell Cards are blue-green. 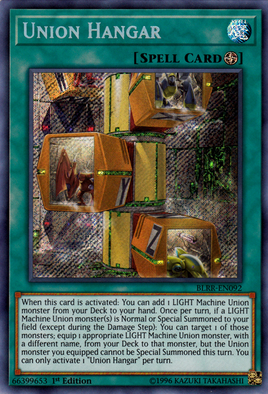 This part of the card contains only one significant difference from Monster Cards—the Attribute symbol is replaced by a Spell symbol due to the fact that Spell (and Trap) Cards do not have Attributes. 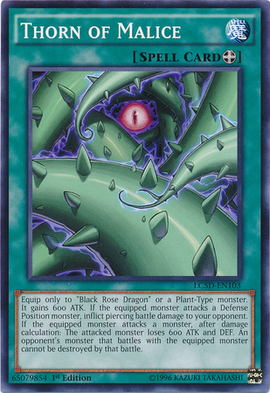 The card type is located below the name, where the Level is normally found on Monster Cards. This piece of text indicates that the card is a Spell Card. 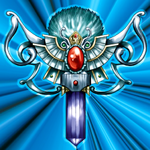 An icon next to the "Spell Card" text inside the brackets indicates the card's type (refer to the symbols above). The card artwork is also present here and shows the player a visual interpretation of the used card. 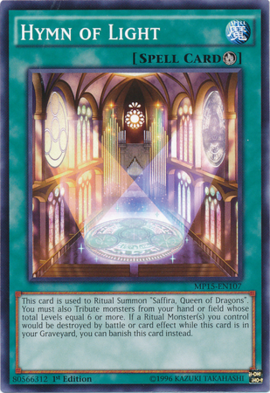 The artwork of a given card may be different between its OCG and TCG printings. 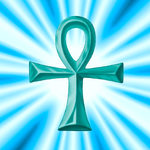 For example, in the case of "Monster Reborn", its artwork is that of an ankh symbol in the OCG but was redone when it was brought over to the TCG in order to avoid religious connotations. Unlike the Monster Card text box (which provide the monster's Type, ATK and DEF), Spell cards' text boxes serve only one purpose - providing the card effect. All other basic card elements can also be seen in Spells. These include the Edition text, Set Number, passcode, copyright text and the Eye of Anubis Hologram. This page was last edited on 3 February 2019, at 03:52.